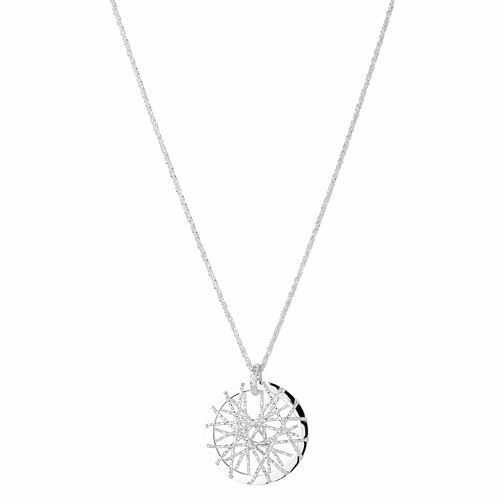 True to the origin of the traditional Native American Indian protective charm this delightful mini sterling silver necklace from the Dream Catcher collection is a perfect addition to any outfit. This piece brings a touch of modern style to your jewellery collection. Pair this with other pieces from the collection for maximum sparkle in your life. Links of London Dreamcatcher Mini Sterling Silver Necklace is rated 5.0 out of 5 by 1. Rated 5 out of 5 by Anonymous from Bought after a couple of my friends wore them! I have admired this necklace which a couple of my friends have. it is much shinier and sparkly in real life than in the photos. The only (small) downside is my hair gets tangled in the clasp quite a bit.